Have your heart set on a royal destination wedding? 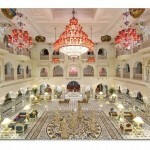 We at MWP highly recommend this magnificent ‘all white’ palace: Shiv Vilas Jaipur. Get married in this old-world style beautiful wedding venue, and the result is magical. 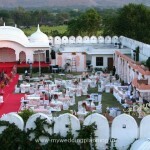 Have your ceremony in any of the 4 huge manicured lawns that can accommodate more than 3000 guests; followed by photos and cocktails on the terrace; then head into the gracious tapestry-hung Presidential Ballroom for dinner. 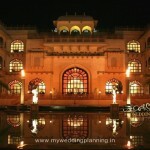 Imagine your wedding day set at one of the most romantic, sophisticated & memorable settings in Rajasthan. With a whitewashed Palace and tidy cottages nestled into acres of picture-perfect gardens and sun-dappled alley ways, the resort is truly a secluded paradise for destination weddings. The grandeur of the Palace and the opulence of the Ballroom, make for a very special evening. For outdoorsy couples, the lawns provide many options for small and large gatherings. Shiv Vilas offers you choices at every turn for storybook events for up to 3000 guests. 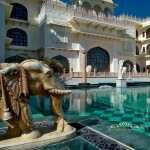 Few places in India can match the luxury and grandeur of Shiv Vilas Jaipur. 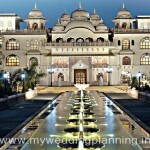 And palace hotels are easily the most romantic and unique setting in which to host your wedding events. Imagine an intimate gathering of just 50 cherished friends and relatives, or a total of 3000 guests sitting down to a lavish dinner. 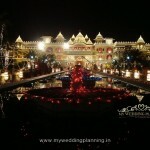 Shiv Vilas will match your wildest wedding dreams. 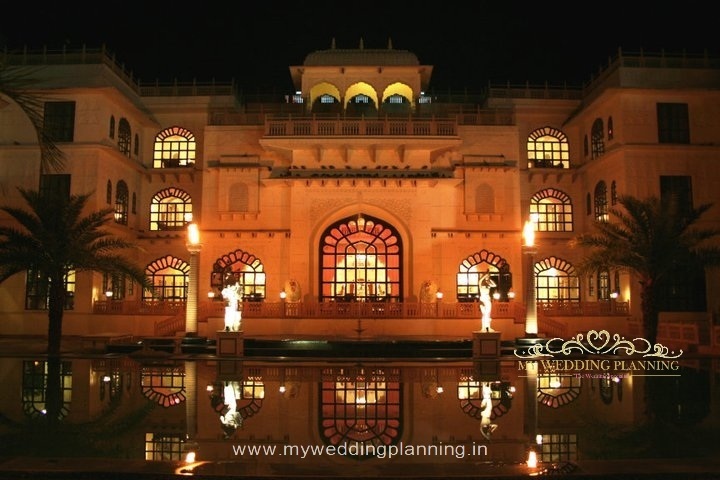 Celebrate your fairy tale romance with a regal Rajasthani wedding. 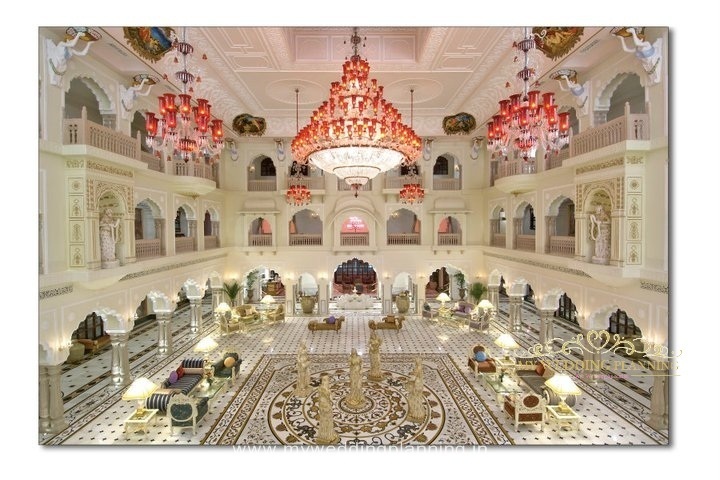 The hotel provides you a variety of wedding packages in the grand, traditional setting you’d expect from a palace! 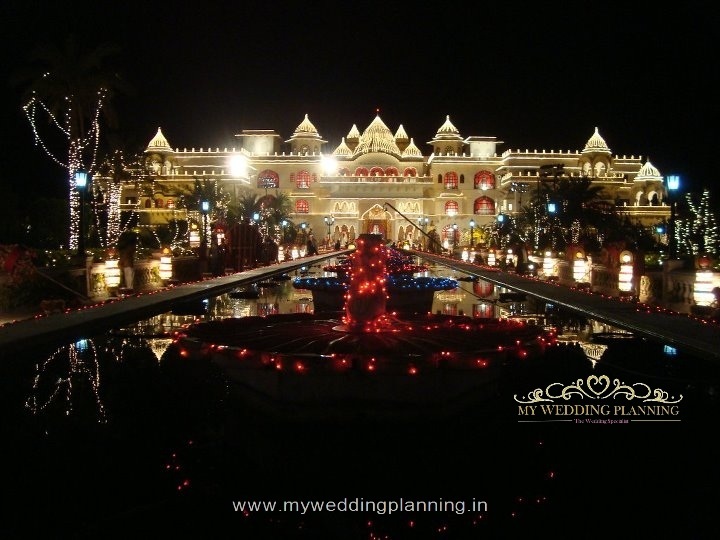 Enjoy a lavish understated opulence by getting married at the Shiv Vilas Palace. 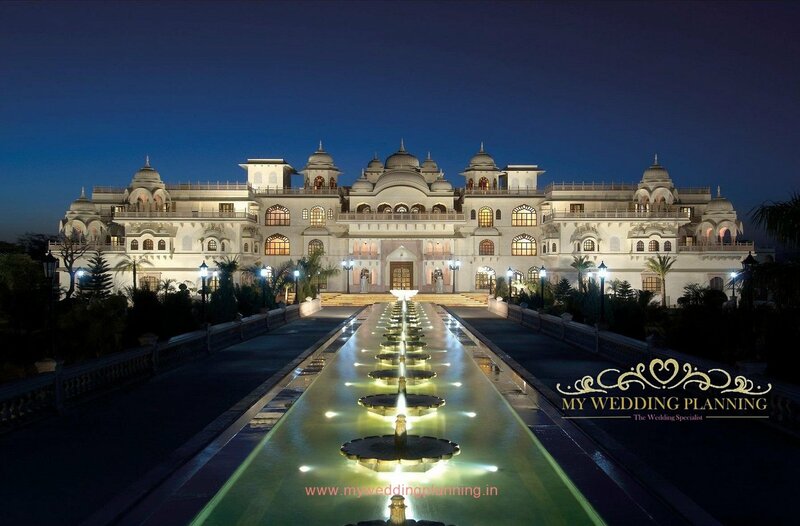 The Palace fit for kings and the queens will be all yours as you walk down the aisle on your special day. 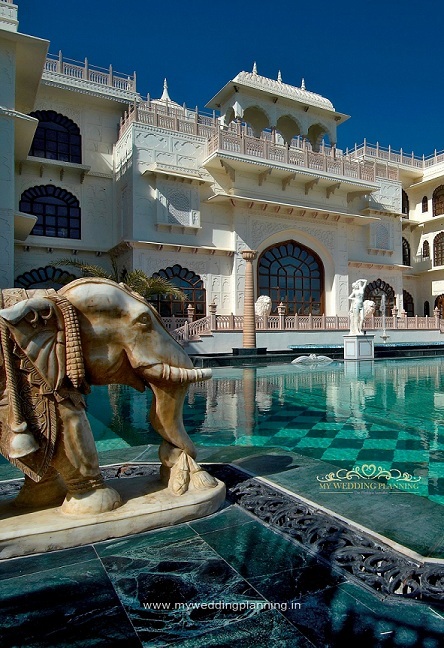 The old-world charm that the palace brings with it is unparalleled. Not just the happy couple but your guests will also relish the grandeur of the palace and will take back unforgettable memories. The magnanimity, splendour and magnificence of the beautiful property will be etched as a happy memory forever in your hearts. 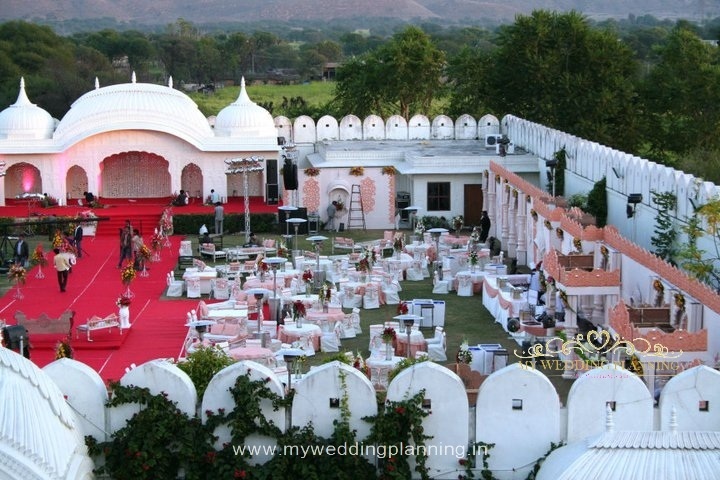 You cannot go wrong with your choice of a destination wedding in the haven of the royalty- Shiv Vilas. Shiv Vilas has 75 well appointed rooms, with all modern amenities. Rates for catering depend on menu, theme and volume. Tea/ Coffee with cookies – INR 350+Taxes per person.